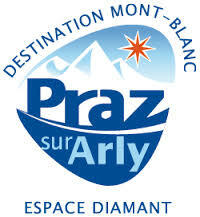 Please find on this page all information, accomodations and activities possible in Praz sur Arly, close to the hot air balloons' take-off place. Open every day during the witer and summer season. Open Mondays to Fridays from mid april till early July and from September till mid december. In the heart of the village, Nathalie and Fabien great you in their charming and comfortable rooms. In the restaurant downstairs you can eat as traditional savoy specialties, as 'a la carte' courses, all home made. The guest house is located 3 minutes walk from the takke-off place. Open all year long! 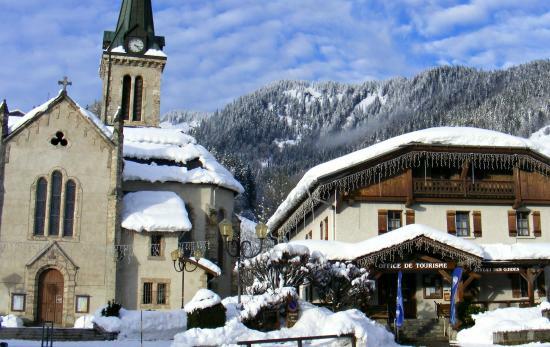 The staff welcomes you in the authentic chalet combining calm and conviviality. The Chef will delight you with traditional recipies and local products. 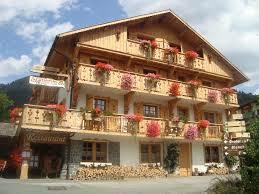 The hotel Les Bernards is located at 3 minutes drive from the take-off place. Open all year long! 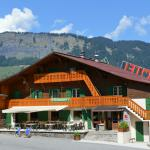 A charming chalet in heart of the village, really calm on the southern slope of Praz sur Arly. Every room has a cosy and convivial atmosphere, well decorated in the pur mountain style. 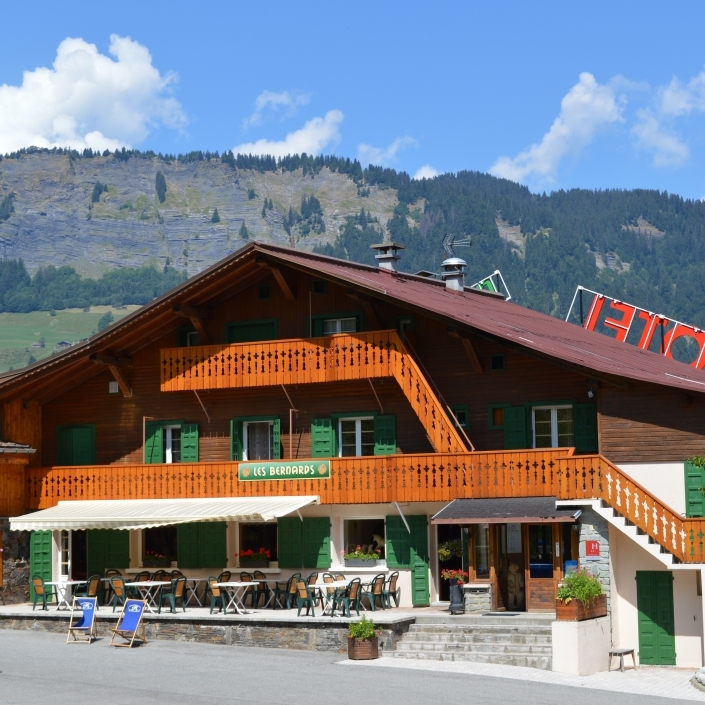 Traditional savoyard restaurant. Invitation to the wellness with the spa, sauna, hammam and massage room. The hotel La Griyotire is located at 3 minutes walk from the take-off place. Open during winter and summer seasons. 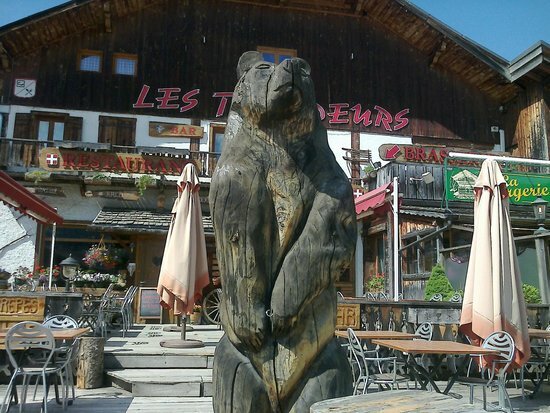 The ESF Team is happy to welcome you in Praz sur Arly. Our 60 instructors will share with you their passion of snow-gliding whatever your level or your desires. 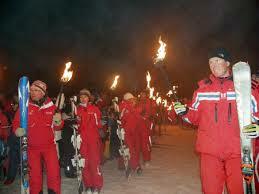 Beginers or experimented skier we have probably a lesson to suit your willness. Join us all year long for several activities with our dogs. In summer season in Praz sur Arly for hikking with them (canirando) or in winter season in Laponia (Sueden) for an amazing stay in the middle of the aurora borealis. Don't forget to ask for the brochure "l'info praline" !